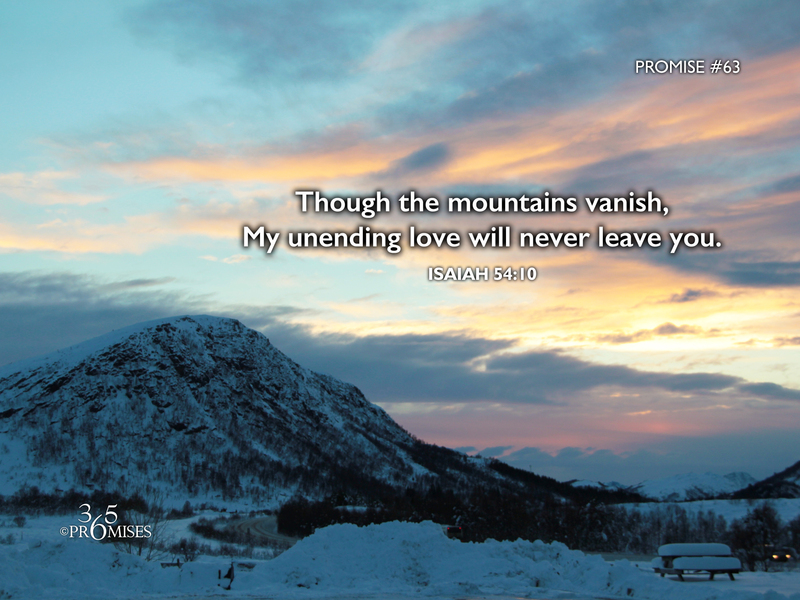 Though the mountains vanish, My unending love with never leave you. says Yahweh who has mercy on you. Nothing will ever shake the unending, eternal love that God has for you. The mountains will vanish away and the hills will be removed before His heart for you changes. No matter what you are going through in your life, His love for you is constant. And that is because God can only love at one intensity... and that is with ALL His heart! Jesus told us that His Father loves us the same way that He loves Him (John 17:23).